Weston performs munitions remediation of a proposed park that was previously used as a live fire training area since 1909. Weston has been contracted by Clark County to implement the Washington Department of Ecology (WDOE) cleanup action plan for the phased remediation of the former Camp Bonneville military reservation. Camp Bonneville consists of 3,840 acres nestled in the foothills of the Cascade mountains, about 7 miles north of the Columbia River. The base was established in 1909 and used for live fire training, including small arms, mortars, shoulder-fired rockets, and light and heavy artillery. Various branches of the military used the property for training until the federal government decided to close it under Base Realignment and Closure legislation in 1995. The property was conveyed to Clark County under the CERCLA 120 Early Transfer Authority in 2006 under a conservation conveyance. A conservation conveyance limits the use of the property for conservation purposes, allowing the site to eventually be operated as a regional park. The scope of this work includes the removal action of suspected munitions and explosives of concern and munitions debris in the central valley floor and associated wetlands, demolition kick-out areas, firing point and target ranges, as well as the Western Slopes area. The work has employed 30 unexploded ordnance technicians operating in challenging terrain, including densely wooded areas and wetlands within the 2.5-mile valley floor. The smallest munitions item of concern (14.5 millimeter subcaliber projectile), required excavation and evaluation. Larger munitions items are also common finds at Camp Bonneville: 3.5 inch rockets, mortars, and larger-caliber artillery munitions. 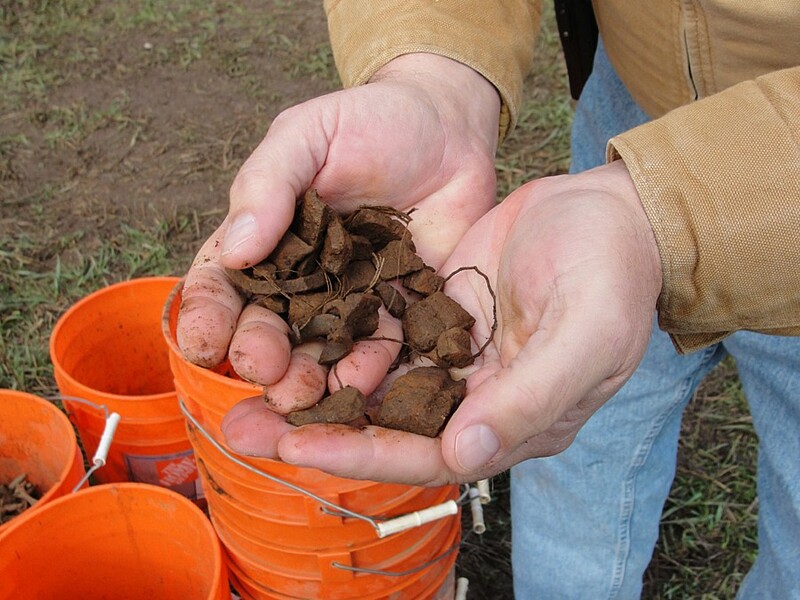 The density of geophysical anomalies using the mag & dig approach averaged 6,000 per acre. The field work is complete, and After-Action Reports for each phase of work are also being prepared for the Department of Defense Explosives and Safety Board and WDOE as required to achieve site closeout.